Cocaine has many cardiovascular effects. None of them are good. There are few things emergency room doctors dread more than seeing a young cocaine user showing up with chest pain, or other symptoms suggestive of cardiovascular disease. Their dread is well-founded. It is bad enough that this young, otherwise-healthy person may be suffering from a drug-induced life-threatening or disability-producing medical condition. What makes it worse is that the doctor knows that making a correct diagnosis is likely to be difficult. And once the correct diagnosis is made, treatment is likely to be especially challenging, because of the widespread effects of cocaine on the body’s physiology. Furthermore, the young patient’s long-term outcome is all too likely to remain poor, even if a correct diagnosis is made quickly, and treatment instituted immediately. How Does Cocaine Affect the Cardiovascular System? Cocaine is a drug that inhibits the reuptake of norepinephrine in neurons throughout the body. Norepinephrine is a powerful neurotransmitter within the sympathetic nervous system, and when its reuptake is inhibited, sympathetic nervous activity is greatly exaggerated and prolonged. The exaggerated sympathetic nervous activity has profound effects on the cardiovascular system. It substantially increases the force of the heart muscle as it contracts, and at the same time it raises the heart rate and the blood pressure. These factors all greatly increase the work of the heart, and therefore the demand of the heart for oxygen and nutrients. But at the same time that it is causing the cardiovascular system to work so much harder, cocaine also causes constriction of the capillaries, reducing the blood flow to the heart muscle. In addition, cocaine promotes blood clotting within blood vessels. This is a very bad combination of physiological effects. While it creates a greatly increased cardiac need for oxygen, cocaine simultaneously restricts blood flow to the heart muscle, restricting the amount of oxygen that can be delivered. The cardiovascular system thus becomes extremely stressed. 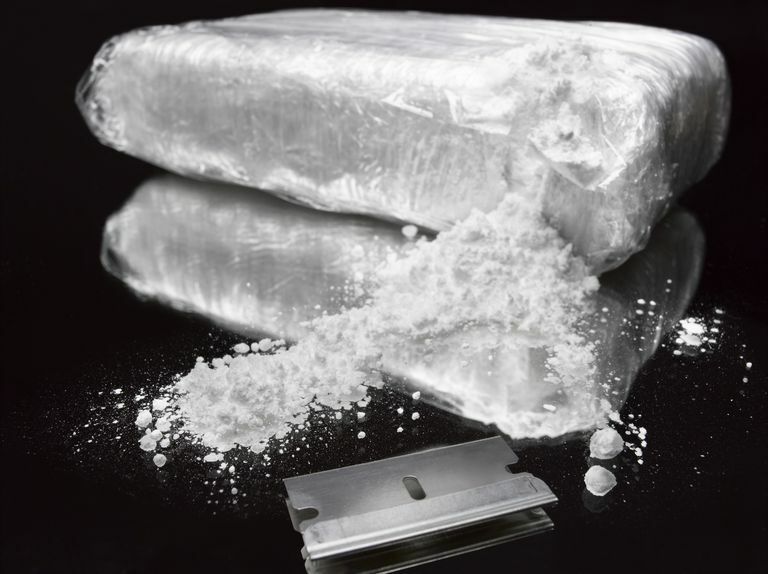 What Cardiovascular Conditions are Caused By Cocaine Use? Several important cardiovascular conditions can result from this combination of effects caused by cocaine use. Myocardial infarction (heart attack). Heart attacks are a well-known complication of cocaine use, and can occur with any dose of cocaine, and even in first time users. Most cocaine-induced heart attacks occur within one hour of using the drug, and they are particularly prevalent younger people. In fact, cocaine use has been implicated in nearly 25% of heart attacks that occur in people under 45. Read about the treatment of myocardial infarction. Aortic dissection. Acute aortic dissection — a sudden tearing of the wall of the aorta — is an extremely painful and life-threatening condition. While there are many causes of aortic dissection, in young people cocaine use is a prevalent cause. Coronary artery aneurysm. Coronary artery aneurysms, balloon-like dilations of coronary arteries, are fairly common in cocaine users, occurring in up to 30% of chronic users. Coronary artery aneurysms are a cause of heart attack. Myocarditis and cardiomyopathy. Cocaine causes myocarditis, or inflammation of the heart muscle. Myocarditis can lead to damage of the heart muscle, or cardiomyopathy. As a result, heart failure may occur. Beta blockers should not be used in patients taking cocaine. Beta blockers are very important for the treatment of coronary artery disease, heart attacks, angina, and heart failure. However, in people who have taken cocaine, beta blockers (which block beta-sympathetic effects of norepinephrine) “uncover” the alpha-sympathetic effects, leading to more constriction of the small arteries, and higher blood pressures. This fact takes a critical treatment tool out of the doctor’s hands when they are dealing with a heart attack. When treating what appears to be an acute heart attack, the use of clot-busting drugs — drugs that produce fibrinolysis — should generally not be employed in a cocaine-user without first doing a cardiac catheterization. This is because the ECGchanges that typically indicate that an acute heart attack is occurring may be seen in cocaine users who are actually not having a heart attack. Doctors are reluctant to use stents to treat coronary artery disease in cocaine users, because stent thrombosis (clotting off of the stent) is much higher in these people. The use of cocaine can place enormous stress on the heart and the vascular system, and can lead to several significant cardiovascular conditions. Furthermore, because of the multitude of negative effects on human physiology, treatment options are limited in people who have cocaine-induced cardiovascular disorders. Afonso L, Mohammad T, Thatai D. Crack Whips the Heart: a Review of the Cardiovascular Toxicity of Cocaine. Am J Cardiol 2007; 100:1040. Maraj S, Figueredo VM, Lynn Morris D. Cocaine and the Heart. Clin Cardiol 2010; 33:264. Schwartz BG, Rezkalla S, Kloner RA. Cardiovascular Effects of Cocaine. Circulation 2010; 122:2558. Singh V, Rodriguez AP, Thakkar B, et al. Hospital Admissions for Chest Pain Associated with Cocaine Use in the United States. Am J Med 2017; 130:688.